In the Ang Dating Daan, hatred is an enforced policy and Soriano’s followers are directed to hate and loathe others including other religions because anything outside the ADD is false and a tool from Satan.Through observing the following evidence, one can transparently understand that the the harsh stance of the ADD cult in excommunicating members is not based on the Scriptures but on man made laws within the Cult. Can you imagine a religious group that professes to be Christian but commits some of the most heinous hate crimes in the world? Do you know of any religious organization that enforces and encourages hatred toward those who leave? To show support for the statement, their cowardly leader re-tweeted the tweet, a proof that he approves of such extremist ex-communication and hatred! Remarkably, there are no scriptures from the Bible cited that back up these statements, and these decisions seem that they could become quite subjective. One of the characteristics of destructive cults is an enforced policy that requires the members to reject and avoid anyone who leaves or gets expelled from the religion. It is a common trait among esoteric movements that claim to be “the Truth.” Members are required to sever association with even their own family members and relatives who leave. Severe judgments are put on ex-members. The consequences of this harsh doctrinal policy are extreme, shattering friendships/relationships and leaving the victims emotionally and spiritually devastated. Suicides or attempted suicides are not uncommon. The ADD is one such cult that practices extreme and severe judgment on former members as you have seen above. Those who leave the ADD cult are erroneously equated to having left the cult with persons who have left God. These are termed “not any more unacceptable” and “filthy”. Because Soriano’s followers equate their cult with having a relationship with God, they believe it is impossible for anyone to be a Christian outside the ADD cult. This creates a deep rooted fear of leaving the cult because they think they are leaving God, and a deep rooted hatred toward those who have left, convinced these ones have left God. These blatant statements should raise a red-flag for all Soriano’s followers. By removing these “unacceptable” and “filthy” ones from the presence of loyal followers, the cult is able to keep firm control over their members to prevent them from exposure to the doctrinal error within the ADD while also maintaining a close watch on the wallets of followers with naked ambition. 2 John 10 says not to greet the Antichrist. At 1 Corinthians 5, Paul outlined limiting association with Christians that practice wrongdoing, not strict excommunication imbibed with severe judgments of being “not any more acceptable” or “filthy”. Bible discussion of avoidance in 1 Corinthian’s 15 and 2 John is limited to just the following areas; Fornication, Greed, idolatry, Revilers, Practicing Drunkenness, Extortion and One who does not remain in the teaching of the Christ. Those two verses do not indicate rejection and severe judgment like the ADD does. The ADD cult ex-communicates for practices never discussed in the Bible such as smoking, gambling and questioning their devious teachings. The Bible says that, Diotrephes was reprimanded for attempting to throw people out of the congregation unnecessarily. Jesus did not say that we treat wrong doers as “not any more acceptable” and “filthy” but to treat them as a tax collector.He himself spoke to and ate with tax collectors. (see Matthew 9:11). The majority of Scriptures on how to treat wrongdoers within the congregation comes from Paul who showed a balanced approach to wrongdoers, advising not to socialize with such ones, but to still admonish them as a brother. 2 Thessalonians is key to understanding that wrongdoers should be marked, not excommunicated and labeled with severe judgments. Paul did not say to ex-communicate and severely judge such people, but rather instructed the congregation to mark or take note of such a person, yet continue admonishing him as a brother. In similar vein the following scriptures do not instruct complete rejection of the person, but rather to take note so as not to be influenced by their wrong ways. Paul gave similar advice on a number of occasions to ‘mark’ and ‘avoid’ wrongdoers. This does not mean that the person must be totally ignored, completely rejected and severely judged. The purpose of excommunication is to bring the person to a point of godly sorrow and repentance , so that he or she turns away from sin and experiences a fully restored relationship with God and other believers. Individually, the intent is healing and restoration, but corporately the purpose is to build up, or edify and strengthen the entire body of Christ. Ang Dating Daan extreme treatment of completely rejecting an ex-communicated person and severely judging them is not based on the above scriptures but rather on man-made laws within the cult and justifies the fact that the ADD cult is not directed by God at all. This draconian system of rejecting, loathing and severely judging those who have left does not originate from God but from the other deranged criminal hiding down the Amazons and his aides who have no experience in pastoral work. The process the ADD follows for ex-communication strays from biblical principles in a number of areas as shown above. If God wanted his followers to ex-communicate others for engaging in these common practices, the Bible would state so. Should the ADD cult be creating Ex-communication decrees beyond Bible offences? Of course not! Jesus condemned the Pharisees for creating laws for every situation, rather than promoting Godly principles and understanding the meaning of mercy. When a Pharisee expressed surprise that Jesus did not do ritual washing before dinner, Jesus’ rebuke was particularly harsh. If God spoke directly to Soriano, as He did with the Apostles and they were infallible, then he may have authority to add to the scriptures. By considering the above evidence this is not the case in the ADD. 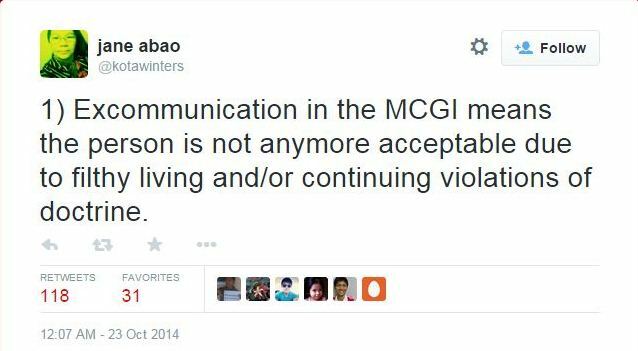 Soriano and the ADD cult are not inspired by God to write additional rules that do not appear in the Bible. When the Catholic Church ex-communicated Arius in the 3rd century, he was not rejected or severely judged.Infact, the local Bishop Alexander of Alexandria praised Arius for his approach to Christian doctrine, but for his wrong views (that Jesus is not God), he advised him to abandon it. Arius did not obey and persisted in his wrong view until the Church Council at Nicaea in 325AD. At the Council, Arius was asked to present his views, which he did but the Church decided that Arius was wrong, since his view was not based on orthodox Christian belief as received from Christ and the Apostles. The Church then ex-communicated Arius. He had the freedom to reconcile with the Church if he abandoned his wrong view as other heretics like Berengarius did. In this case, the Church followed Biblical principles in dealing with heretics. The heresy of Arius was later refuted by St. Athanasius, the one who compiled the Canon of the Bible as we have it today. The harsh stance of the ADD cult in excommunicating members is not based on the Scriptures. Being ex-communicated harshly will be the catalyst to cause many to doubt whether the ADD is the true religion. The trauma and effort involved in being ex-communicated will result in Soriano’s followers to begin researching outside ADD teachings and to come to the conclusion that Soriano and the ADD are not the stewards of God’s Mysteries as they claim. 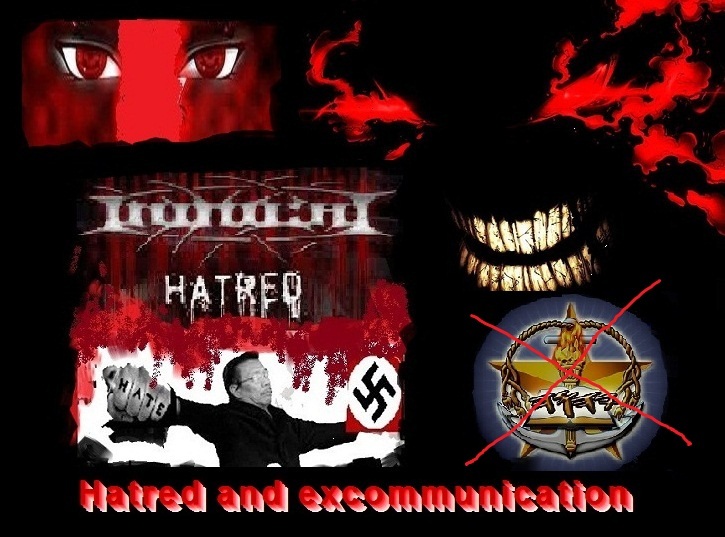 The unbiblical hatred and ex-communication practiced in the ADD cult is a form of entrapment that forces Soriano’s followers to get trapped in the cult while blindly following the satanic teachings of their leader. This makes them live double lives. 4 The sickened ones YOU have not strengthened, and the ailing one YOU have not healed, and the broken one YOU have not bandaged, and the dispersed one YOU have not brought back, and the lost one YOU have not sought to find, but with harshness YOU have had them in subjection, even with tyranny. 5 And they were gradually scattered because of there being no shepherd, so that they became food for every wild beast of the field, and they continued to be scattered. 6 My sheep kept straying on all the mountains and on every high hill; and on all the surface of the earth my sheep were scattered, with no one making a search and with no one seeking to find. 9 therefore, YOU shepherds, hear the word of God. God loves you very much. He gave his Son for you. If you ever feel lost, God Himself will look for you. There is nowhere you can go, where He will not even be able to find you. He will care for you. This is his promise and assurance. Take courage! Let us pray that the ADD cult will soon be blessed with “new truth” and “progressive understanding” on their policy of extremist excommunication and hatred of former members, thereby liberating thousands-both within and out of the cult from the heart-sickening anguish imposed by this cruel, unjust, and unscriptural policy. And for Soriano’s followers who are abusing us, that will not stop us from exposing the ADD cult.This whole blog is inspired by people who defend Soriano. Rather, such behavior shows how deeply you are immersed in a cult and your adoration of Soriano. Be aware that this is not a valid form of argument, instead of attacking our character you need to answer our arguments. Understand that what you assume our character to be is irrelevant to the validity of what we are saying. Address our blogs using proper logic and reasoning.Otherwise thank you for visiting the Real Truth blog and please share it with your friends who are trapped in the dark and dangerous world of the Ang Dating Daan cult. Stay tuned to this blog to discover more bag of tricks from one of the most destructive cult on earth that is the ADD.